Igbo apex socio-cultural organization, Ohanaeze Ndigbo, yesterday said that it would use its 2017 Igbo Day celebration to seek the face of God to help the Igbo nation overcome the long years of marginalization and myriad of problems facing them in the country. The Chairman, National Organising Committee of the 2017 Igbo Day celebration, Dr Gregory Ibe, who disclosed this at a world press conference held at the Ohanaeze secretariat in Enugu after the inauguration of the committee, said they have lined up several church activities for the one-week long celebration to seek divine solution to the problems of the Igbo, as well as pray for the nation. According to him, the prayers which would start in Sabbath and Celestial churches on September 23 would see the Igbo raising as prayer points supplications to God to help the Igbo get justice, peace and equity that would truly make them belong to Nigeria. “The Igbo operate on the premise that there is God; God dictates the pace, so we will put everything in the hands of God, we are now looking unto God to help Nigeria to be one,” he said. Dr Ibe, who is also the Chancellor and founder of Gregory University, Uturu, Abia State, said the theme of the celebration is “Oganiru Anyi di n’aka Chukwu”, meaning our moving forward is in the hands of God. The chairman who said that the grand finale of the celebration would be held in Port Harcourt, Rivers State which is the host state with Enugu State co-hosting the event added that a day world be set aside for prophetic prayers in Abuja after an interdenominational service in selected churches across the country and in the Diaspora. 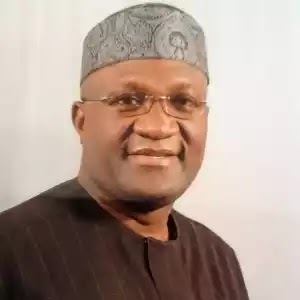 He said that Ohanaeze would mobilise Ndigbo at home and in the Diaspora to pray for the country to give the people their due in the nation, enjoining all Igbo to participate in all the programmes lined up for the celebration.